A 3rd year student who stands out due to her red hair. The main female protagonist is an alien come to Earth who acts to save Kaito from the injuries he sustains when her ship crash-lands. Being an alien unaccustomed to life on Earth, her actions may seem weird in the eyes of others, but she is quick to correct herself, if only to hide the fact that she's an alien. She is kind, polite, friendly and a good cook. 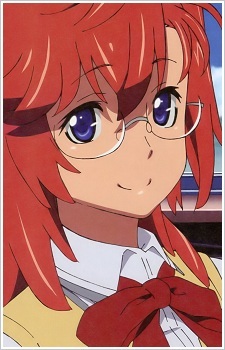 Like her "best friend" Remon Yamano, she is a third-year student in Kaito's high school.